[MANUSCRIPT DIARY; GERMAN WINE AND SPIRIT MERCHANT; DEINHARD] Peter Hasslacher, wine merchant's agent. Diary advertising Julius Wile Sons & Co., Inc., 2 Park Avenue, N.Y. "Importers Since 1877", soft artificial leather covers tan-coloured, rubbed, name "Peter Hasslacher" in gilt on front, hinge strain, contents otherwise good, complete, one day to each page. Initially there is printed information about the agencies for imports of wines, spirits and liqueurs of Julius Wile, a Wile family tree, a history of the comp[any, biographical details of "Active Members" of the Wile and Blum families. 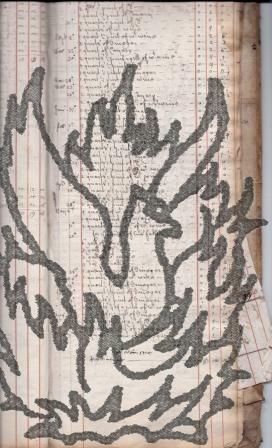 [ Wine; merchant's account ] Itemised manuscript accounts of an early eighteenth-century Derbyshire wine merchant, for customers including William Cavendish of Dovebridge, Thomas Stanhope, William Sacheverell, Reginald Cynder. Derbyshire; between 12 July 1702 and 13 January 1711. 15 pp, narrow folio (14.5 x 38 cm), in the remains of a volume which has been reused and cut up (see below). Although aged and dogeared, the eight pages carrying the accounts are in reasonable condition, with all texts clear and complete, although the last leaf of the eight has the lower third cut away. In remains of original vellum binding, with '17 Maij j683' on front board. The pages are variously paginated in a contemporary hand between 245 and 274. [ The Australian Wine Company, Limited, London. ] Printed notice and Autograph Receipt Signed, both by John Paterson, the firm's liquidator. John Paterson, Chartered Accountant, 35 Walbrook, London. [ Australian Wine Company, Limited, London ] Notice dated 20 February 1885; receipt dated five days later. 12mo bifolium, with the printed notice on the recto of the first leaf and Paterson's autograph receipt on the reverse of the first leaf. In good condition, lightly aged. The notice states that as liquidator Paterson has 'sold the Goodwill and Stock-in-trade to Mr. C. H. Aylwin' The notice is completed in manuscript, asking 'G. Johnston, Esqre.' to remit the ten shillings owing by him to the company. On the reverse Paterson acknowledges receipt 'from James Johnston, Banker, 61 Irish Sreet, Dumfries, Ten Shillings Stg. [Victorian British wine trade from Porto, Portugal.] 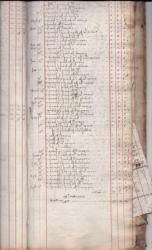 Manuscript accounts, in English, detailing a substantial trade from Porto, with a large number of English wine merchants, headed 'Porto em 31st. December 1844', with table of 'Wines Shipt in 1844'. 3pp. folio. Bifolium. In fair condition, on aged and worn wove paper watermarked 'RUSE & TURNERS | 1834', with a few short closed tears to crease lines.. The first page is headed 'Porto em 31st. December 1844', and the other two 'Porto the 31st. December 1844'. The account shows substantial sums paid in by various English wine merchants, and a final balance of 428,504 Reis 355 Dinheiro. Begins with 'Profit & Loss Dn. to Sundries' of 3887R 467D. Entries include: Brandy Account; Wines on Consignment; Casks Account; Bills Payable; Warehouse Utensils. Diary advertising Julius Wile Sons & Co., Inc., 2 Park Avenue, N.Y. "Importers Since 1877", soft artificial leather covers, rubbed, name "Peter Hasslacher" in gilt on front, hinge strain, contents otherwise good, complete, one day to each page. Initially there is printed information about the agencies for imports of wines, spirits and liqueurs of Julius Wile, a Wile family tree, a history of the comp[any, biographical details of "Active Members" of the Wile and Blum families. Autograph Letter Signed from the Member of Parliament for Norfolk Thomas de Grey of Merton Hall near Thetford, regarding the supply of 'a pipe of Port and a Hogshead of Calcavalla [sic]', and 'a Hogshead of Sherry'. 'Merton' [i.e. Merton Hall, near Thetford, Norfolk]. 15 December [no year]. 2pp., 4to. Bifolium. Fair, on aged paper. De Grey begins: 'You have very much obliged me by accepting a small Present of Game, and many of my neighbours as well as myself will rejoyce in your Correspondent supplying me with a pipe of Port and a Hogshead of Calcavalla, [sic] if a Hogshead of Sherry could be procured without any additional trouble, it would add to the Obligation'. Printed price list, in French, for Thomas Frères, négociants à Valence, Départment de la Drome, with 'Vins Rouges' and 'Vin Blancs'. Nicely printed within a border on one side of a piece of 19 x 12 cm laid paper. In good condition, lightly-aged. Headed: 'THOMAS FRÈRES, | NGTS. A VALENCE, DÉPT. DE LA DROME. | REPRÉSENTÉS VOYAGEUR.' 22 'VINS ROUGES' (from 'Hermitage' to 'Bordeaux') and 13 'VINS BLANCS' (from 'Hermitage' to 'Muscat de Beziers') are listed, followed by six items from 'Eau-de-vie vieille du Languedoc' to 'Truffes noires'. Prices are only given (in pencil) for three items. Engraved receipt of C. Bertram & Son, Importers of Wines and Spirits, No. 162, New Bond Street, London, listing twenty-six types of wine and spirit. [C. Bertram & Son, Importers of Wines and Spirits, No. 162, New Bond Street, London.] Undated [1820s]. 1p., 4to. On thin paper. In good condition, lightly-aged, and laid down on a piece of card. The receipt has not been filled in in any way. 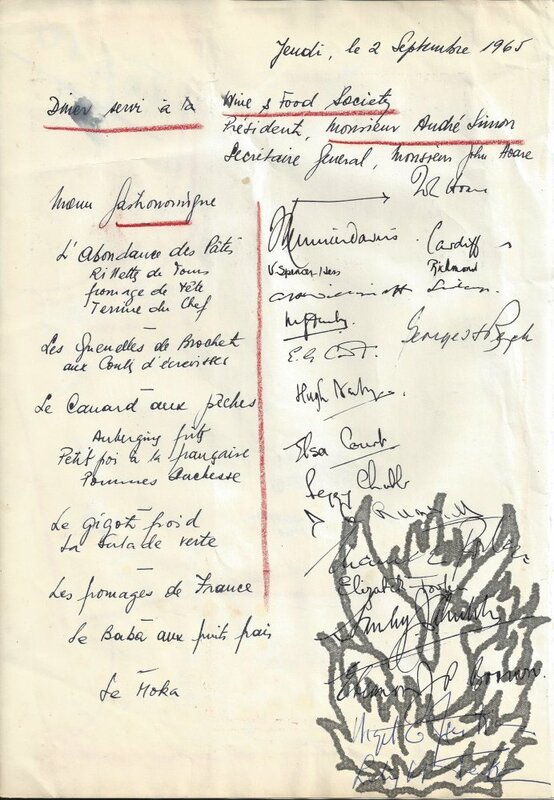 Beneath the decorative letterhead are the 26 categories, in copperplate: Port; E. J. Madeira; W. J. Madeira; Malmsey Madeira; Cape Madeira; Bucellas; Lisbon; Teneriffe; Sherry; Mountain; Calcavella; Hock; Moselle; Hermitage; Burgundy; Claret; Sauterne; Champagne; Vin de Grave; Barsac; Frontigniac; Constantia White & Red; Brandy Cognac; Rum Jama. ; Hollands; Shrub. Signed autograph itemised receipt by William Croslie [wine and spirit merchant, Castle Douglas? ], for food and drink provided to 'Fanny Wilson for fathers funeral' in Scotland. Possibly submitted by the 'Mr William Crosbie, wine and spirit merchant', whose death at Castle Douglas on 15 March 1821 is recorded in Blackwood's Magazine, April 1821. 1p., 8vo. Neatly written out on watermarked laid paper. Headed 'Fanny Wilson for fathers funeral | To William Crosbie | 1810'. Eleven entries for the funeral on 1 October 1812, including two plum cakes, '11 Cakes Short Bread'; '2 Gallons <?> Rum' and '2 1/4 ditto Whisky'; '6 Bottles Old Port' and '6 ditto Sherry'. 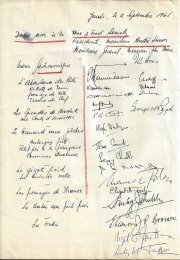 Receipt of payment on 5 November at foot, signed by Crosbie. Itemised manuscript accounts of an early eighteenth-century Derbyshire wine merchant, for customers including William Cavendish of Dovebridge, Thomas Stanhope, William Sacheverell, Reginald Cynder. Hf.lea., folio, pp.1-325 used , mainly fully, indexed. 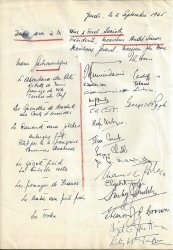 Handwritten records of purchases from breweries, wine merchants et al (including Bass & Co., Schweppes, Booth's, Buchanan, Brandies of France, Commonwealth Wines, Kia-Ora,Sandeman, Vintage Wines, Ltd, Worthington & Co etc., etc. Enclosures: a small quantity of invoices from some companies Whitbread, Schweppes, Coates etc. ), many saying just "goods" but others more specific. Typed Letter Signed to Grant Richards, publisher. 17 East 42nd Street, New York, NY, 8 Feb. 1936. Writer on Wine. One page, 4to, chipped, fold marks, yellowed but text clear. "Your inference with regard to that particular appendix is quite correct. The publishers did get cold feet and the appendix, to my considerable disgust, was omitted. / Apparently Messrs. Routledge felt that the British libel laws made publication of the facts with regard to dishonest shippers somewhat hazardous.